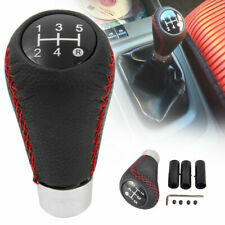 New Universal 6 Speed Leather Aluminum Manual Car Gear Shift Knob. 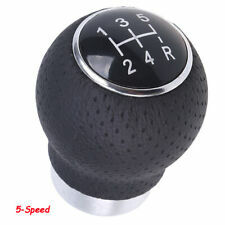 6 Speed Car Gear Shift Knob. 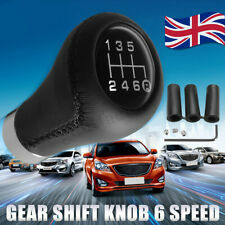 Type: Gear Knob. Material: Leather & Aluminum. Speed Number : 6 speed. Universal fits for most of cars. FAUX LEATHER STEERING WHEEL COVER BLACK. Replacing a worn steering wheel is expensive. Get a custom look and save a lot of cash by grabbing one of these covers. High quality, tight fitting to prevent slippage and real leather looks, make these a great choice. LADA VAZ 2103. 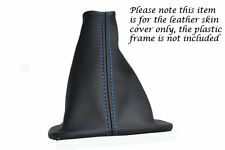 Black leather with BLUE stitching. And what you will receive is only the leather part. UNIVERSAL CAR CUP MAT CHECKERED. Universal Stylish Black & White Checkered Style Car Cup Mat Pad. Stylish with White and Black Checkered. 1 x Car Cup Mat. Hard to fade colour. Anti-slip and reduce the interior noise. FAUX LEATHER STEERING WHEEL COVER BRITISH FLAG. Replacing a worn steering wheel is expensive. Get a custom look and save a lot of cash by grabbing one of these covers. High quality, tight fitting to prevent slippage and real leather looks, make these a great choice. LADA VAZ 2103. Black leather with white stitching. And what you will receive is only the leather part. LADA VAZ 2103. Black leather with grey stitching. And what you will receive is only the leather part. LADA VAZ 2103. Black leather with red stitching. And what you will receive is only the leather part. LADA VAZ 2103. Black leather with yellow stitching. And what you will receive is only the leather part. UNIVERSAL CAR CUP MAT CHECKERED PINK. Universal Stylish Pink & White Checkered Style Car Cup Mat Pad. Stylish with White and Pink Checkered. 1 x Car Cup Mat. Hard to fade colour. Anti-slip and reduce the interior noise. Door Sill Guard Lower Bodywork Protector Colour: Silver Material: Plastic 2 supplied 60cm x 4cm Self-adhesive ( included )- Easy to fit Adds some style to your car. Protects door sills from scuffs, chips and scratches Can be used to cover existing damage Can also be used instead of body molding to protect lower section of door FAST DISPATCH PLEASE NOTE Important notice BEFORE ordering Please DO NOT rely on the compatibility list to make your decision of parts, as cars come with many variations and fitments on the same make and models. Check things like dimensions size and other stated fitment criteria prior to ordering to make sure you get the correct part as vehicle parts can have more than one option due to changes on chassis / engine number or modification. We . Door Sill Guard Lower Bodywork Protector Colour: Transparent Roll Measures 5m (L) x 8cm (W) Self-adhesive - Easy to fit Flexible and can be trimmed to fit Enough to fit most 4 door vehicles Protects door sills from scuffs, chips and scratches Can be used to cover existing damage Can also be used instead of body moulding to protect lower section of door FAST DISPATCH PLEASE NOTE Important notice BEFORE ordering Please DO NOT rely on the compatibility list to make your decision of parts, as cars come with many variations and fitments on the same make and models. Check things like dimensions size and other stated fitment criteria prior to ordering to make sure you get the correct part as vehicle parts can have more than one option due to changes on chassis / engine number . LADA VAZ 2103. Black leather with black stitching. And what you will receive is only the leather part. 1X Car Airbag Simulator Emulator Resistor Bypass SRS Fault Finding Diagnostic. 4x LED Wheel Tyre Tire Valve Dust Cap Light For Car Auto Motorcycle Bike Bicycle. 1156 BA15S P21W 33 SMD LED Car Backup Reverse Rear Light Bulbs White Red Amber. Application: Lada Niva. Lockwood car dials, speedos & gauges have an international reputation for style and quality. Lockwood Dial Conversion Kits (Km/H to MPH / MPH to Km/h). Manufacturer's Part Number: C200. PUSH BUTTON SWITCH High Quality on off switch Illuminated BLUE light Stays on till you re-press button Latching functioning switch, Twin terminal connection. CNC Machined Alloy Bezel and Collar (Brushed Steel) 25mm Diameter Head size 40mm Underhand depth including the terminals can be fitted into a 15mm hole size Additional relay may be required to take the power amperage. 15 AMP MAX ( with no relay ) Also other switch Legends available please email. Also led available for sale in Amber Blue Green Red FAST DISPATCH AND Next Working Day Service Available. PLEASE NOTE THIS LISTING IS FOR A SWITCH WITH BLUE ILLUMINATION. PLEASE NOTE Important notice BEFORE ordering Please DO NOT rely on the compatibility list to make your decision of parts, as cars come with . STEERING WHEEL COVER You will be supplied with: 1x Steering Wheel Cover Colour: Black on Grey Material: Leather LookDiameter Size: 14.5" - 15" (37cm - 39cm) Non SlipEasy to slip onStylish design that adds comfort and styleOriginal steering wheel wear preventionHides scuffs from damaged wheelsPlease: Take time to measure your steering wheel making sure it will match the size listed aboveFast Dispatch PLEASE NOTE Important notice BEFORE ordering Please DO NOT rely on the compatibility list to make your decision of parts, as cars come with many variations and fitments on the same make and models. Check things like dimensions size and other stated fitment criteria prior to ordering to make sure you get the correct part as vehicle parts can have more than one option due to changes on. STEERING WHEEL COVER You will be supplied with: 1x Steering Wheel Cover Colour: Black Beige Material: Genuine LeatherDiameter Size: 14.5" - 15" (37cm - 39cm)Non Slip Easy to slip on Stylish design that adds comfort and styleOriginal steering wheel wear preventionHides scuffs from damaged wheelsPlease: Take time to measure your steering wheel making sure it will match the size listed aboveFast Dispatch PLEASE NOTE Important notice BEFORE ordering Please DO NOT rely on the compatibility list to make your decision of parts, as cars come with many variations and fitments on the same make and models. Check things like dimensions size and other stated fitment criteria prior to ordering to make sure you get the correct part as vehicle parts can have more than one option due . PUSH BUTTON SWITCH OEM Style Dashboard Switches Illuminated Rocker Switch 16 Amp Rating Fits 21mmx30mm Cut Outs Bullet Type Terminals These Illuminated Rocker Switches from Trillogy are manufactured to imitate OEM style dashboard switches. They feature illuminated rockers and are ideally suited to the classic or kit car builder. Fast Dispatch - Free UK Delivery PLEASE NOTE Important notice BEFORE ordering Please DO NOT rely on the compatibility list to make your decision of parts, as cars come with many variations and fitments on the same make and models. Check things like dimensions size and other stated fitment criteria prior to ordering to make sure you get the correct part as vehicle parts can have more than one option due to changes on chassis / engine number or . Door Sill Guard Lower Bodywork Protector Colour: Silver 2 supplied 490mm x 40mm Self-adhesive ( included )- Easy to fit Adds some style to your car. Enough to fit most 4 door vehicles. Protects door sills from scuffs, chips and scratches Can be used to cover existing damage Can also be used instead of body moulding to protect lower section of door FAST DISPATCH PLEASE NOTE Important notice BEFORE ordering Please DO NOT rely on the compatibility list to make your decision of parts, as cars come with many variations and fitments on the same make and models. Check things like dimensions size and other stated fitment criteria prior to ordering to make sure you get the correct part as vehicle parts can have more than one option due to changes on chassis / engine number or . DOOR SILL PROTECTOR. Door Sill Protector Strip. Rubberised and ribbed to aid non slip. Sufficient length to suit 2 door and 4 door vehicles. Suitable for all 2 door and 4 door models. Help to protect door sills from scuffs and scratches. STEERING WHEEL COVER 1 x Cover supplied EASY SLIP ON NON-SLIP Size is from 14.5 inch to 15 inch (37 to 39cm) diameter Adds comfort and style Stylish genuine leather material Prevents wear to original steering wheel. Hides damaged scuffed wheel Please note before ordering please take time to measure your steering making sure it will fit the size we have listed. PLEASE NOTE Important notice BEFORE ordering Please DO NOT rely on the compatibility list to make your decision of parts, as cars come with many variations and fitments on the same make and models. Check things like dimensions size and other stated fitment criteria prior to ordering to make sure you get the correct part as vehicle parts can have more than one option due to changes on chassis / engine number . STEERING WHEEL COVER 1 x Cover supplied EASY SLIP ON Size is from 14.5 inch to 15 inch (37 to 39cm) diameter Adds comfort and style Stylish leather look material Non Slip Vented mesh grip sections Prevents wear to original steering wheel. Hides damaged scuffed wheel Please note before ordering please take time to measure your steering making sure it will fit the size we have listed. PLEASE NOTE Important notice BEFORE ordering Please DO NOT rely on the compatibility list to make your decision of parts, as cars come with many variations and fitments on the same make and models. Check things like dimensions size and other stated fitment criteria prior to ordering to make sure you get the correct part as vehicle parts can have more than one option due to changes . PUSH BUTTON SWITCH High Quality on off switch Illuminated BLUE light Returns to position after pressing Momentary functioning switch, so the push button returns to its normal position when you take your finger off Twin terminal connection. CNC Machined Alloy Bezel and Collar (Brushed Steel) 25mm Diameter Head size 40mm Underhand depth including the terminals can be fitted into a 15mm hole size Additional relay may be required to take the power amperage. 15 AMP MAX ( with no relay ) Also other switch Legends available please email. Also led available for sale in Amber Blue Green Red FAST DISPATCH AND Next Working Day Service Available. PLEASE NOTE THIS LISTING IS FOR A SWITCH WITH BLUE ILLUMINATION PLEASE NOTE Important notice BEFORE ordering Please DO NOT rely on the. THIS IS A UNIVERSAL HEAVY DUTY BOOT LINER. Extra Heavy Duty Rubber Bootliner Mat - Size: 140cm x 80. 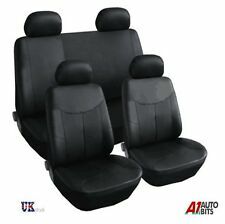 2 x Rear seat backrest. 1 x Armrest case (2pcs). Rear seat cushion: 134x48cm. Front seat cushion: 61x53cm. 2 x Front cushion cover. 1 x Rear long cushion. Application: Five Seat universal. Note: As the product is a common style, it will inevitably have 1-3cm error, can not exactly match. Brand New High Quality German Engineered Tyre Inflator Repair Sealant Airman ResQ inflator is the ideal air compressor sized for all types of passenger vehicles. In addition to its handy portable and lightweight design, this high-performance air compressor enables rapid inflation of tyres. This compressor also comes with extra attachments for use with balls, toys and other inflatables. AirMan's industry leading tyre sealant technology is designed to seal punctures up to 6mm, ensuring the highest quality tyre repair solution on the market. Valve-Through Sealant (VT) technology is delivered in a hard bottle enabling the user to inject the sealant directly into the tire without removing the valve core. Simply connect the hose of the compressor to the bottle, and the red hose . Cigarette Lighter Plug Quantity: 1 12 Volt Un-Fused Suitable for in car use Plug unscrews and wires can be soldered on and screwed back together Fast Dispatch. STEERING WHEEL COVER You will be supplied with: 1x Steering Wheel Cover Colour: Black with Wooden Look Material: Soft Leather Look Diameter Size: 14.5" - 15" (37cm - 39cm)Non Slip Easy to slip on Stylish design that adds comfort and styleOriginal steering wheel wear preventionHides scuffs from damaged wheelsPlease: Take time to measure your steering wheel making sure it will match the size listed aboveFast Dispatch PLEASE NOTE Important notice BEFORE ordering Please DO NOT rely on the compatibility list to make your decision of parts, as cars come with many variations and fitments on the same make and models. Check things like dimensions size and other stated fitment criteria prior to ordering to make sure you get the correct part as vehicle parts can have more than one option. The leopard print Steering Wheel Cover provides a comfortable grip and soft grip. It will add a classy touch to your car interior. LED BATTERY WARNING LIGHT High Quality Illuminated RED Twin terminal connection 12 volts 2 wire connection including 8 inch cable CNC Machined Alloy Bezel 16mm Diameter Head size 30mm Underhand depth can be fitted into a 14mm hole size FAST DISPATCH Next Working Day Service Available PLEASE NOTE Important notice BEFORE ordering Please DO NOT rely on the compatibility list to make your decision of parts, as cars come with many variations and fitments on the same make and models. Check things like dimensions size and other stated fitment criteria prior to ordering to make sure you get the correct part as vehicle parts can have more than one option due to changes on chassis / engine number or modification. We cannot be held responsible for wrong parts ordered if you . Protects painted sill. Surface finish: Mirror graphic design on a matt surface. Box contains: 4 x door siils. - 100% Stainless steel. Clean surface and install with adhesive foam tape. EU countries.